Did you know that Fly Cozumel is also your professional partner for Aerial Photography in Cozumel and the Caribbean side of Mexico? Are you a demanding Aerial Photographer? We deliver! Fly Cozumel offers you a great platform for Aerial Photography around Cozumel and the Riviera Maya Mexico and we believe that Aerial Photography is teamwork: photographer, pilot and/or co pilot/navigator. The positioning of the airplane is very critical to line up for your photo, so preflight plan and communication between you as a Photographer and the Fly Cozumel team flying the plane is essential. We don’t mind you give orders. We don’t mind you are demanding. We want you to get the shot you came for. We don’t mind you give orders. We don’t mind you are demanding. We want you to get the shot you came for. We work professional, safe and as quickly as possible. There are no minimum flight hours and we only charge you for what you fly. Photography is an art. 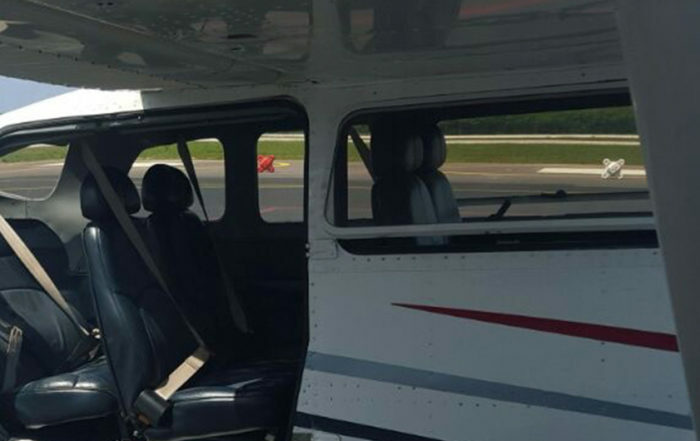 For Aerial Photography we will fly in our high wing Cessna 206 or 207. With pleasure we remove a window or door to create you a large workable shooting area. As we do Aerial Photography so regularly in our area we can are able to obtain necessary permits required to fly low in certain areas. We have extensive Aerial Photography experience and have worked on a variety of projects from professional photographers, advertising agencies, and freelance photographers. We will help you get the photos you need in the shortest amount of time and as cost effective as possible with our experienced crew! Interested? Send us a message with information about your photo mission and please add any special requests you may have. Or give us a call, send us a WhatsApp: +52 987 5648162 or an e-mail: Leo@FlyCozumel.com. Your perfect Aerial Photography in Cozumel and the rest of the state of Quintana Roo Mexico starts here.